We would like to invite you to create a searchable, personalized teacher profile page on our website as an iRest Yoga Nidra Teacher or Teacher-in-Training. Our Find a Teacher page is frequently searched by people looking for services or classes from our iRest Teachers and Teachers-in-Training. This is a free, optional benefit to you to be able to post your bio, teaching specialties and your website as a result of your completion of an iRest Level 1 Training or above course. Your teacher profile is searchable by your name, city, state, country or by one or more of your teaching specialties. Please note: Your email and phone number are not displayed in your public teacher profile. Interested people will contact you through our website via a confidential contact form that does not reveal personal contact details. Anti-spam measures are in effect. 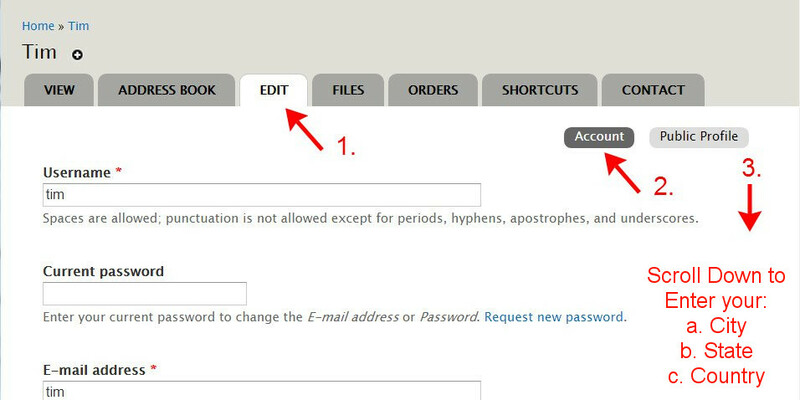 Step 1: Login and/or Create an account on the iRest Institute (IRI) website. Visit www.irest.org and click "My Account" in the top right. Once logged in, skip to Step 2 below. If you aren't able to login, you may need to request a new password or register for a new account. Accounts are tied to email addresses and each user needs their own unique email address. If you requested a new password, use the same email address to register/login as the "request a password" message was sent to. 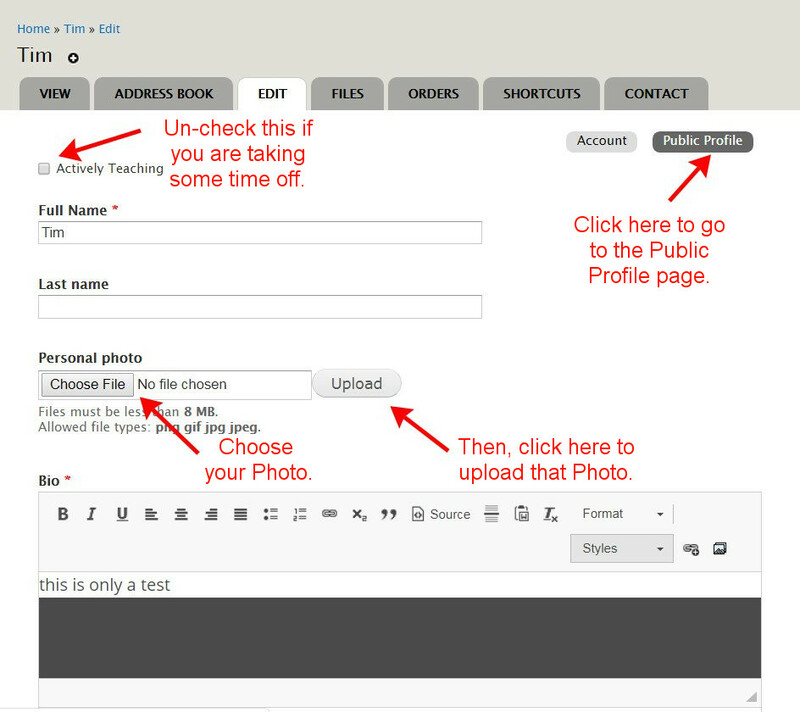 Once you have established an account and are logged in, follow the detailed steps below. Follow the arrows in the picture - click: My Account > Edit > Account. City, state, and country are necessary in order for your profile to be searchable. 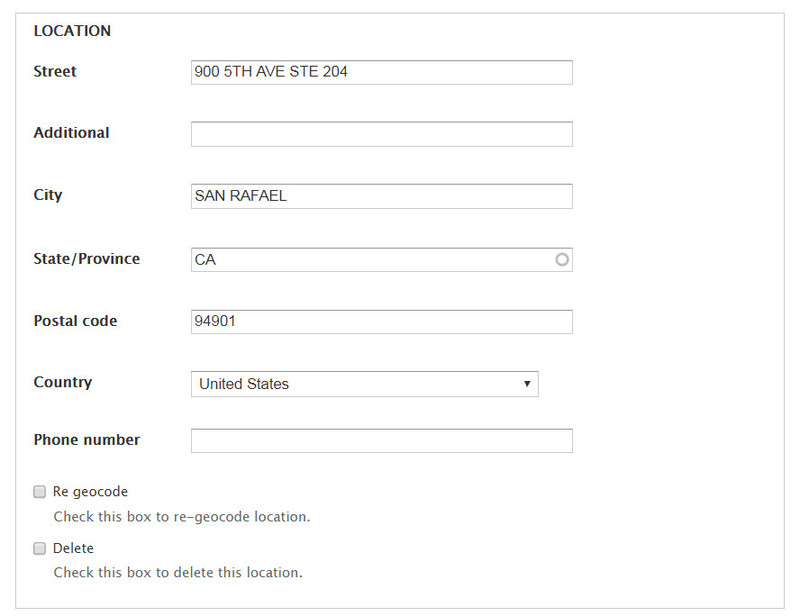 Street address is optional and does not need to be entered. Don't forget to click "Save" at the bottom of the page! Follow the arrows in the picture - click: My Account > Edit > Public Profile. Enter both your First and Last Name in the Full Name field. The email address where contacts from this page will be sent is displayed just below your bio. Optionally, enter your website URL and Title. Don't forget to click "Save". Within a few minutes, your Public Profile will be searchable on our Find a Teacher page. We are glad to have this portion of our website available to all iRest teachers to be able to add a profile or modify their account. Please call or contact us if you have questions at (415) 456-3909 or info@irest.org. Note: You can take your profile offline temporarily by un-checking the "Actively Teaching?" box.